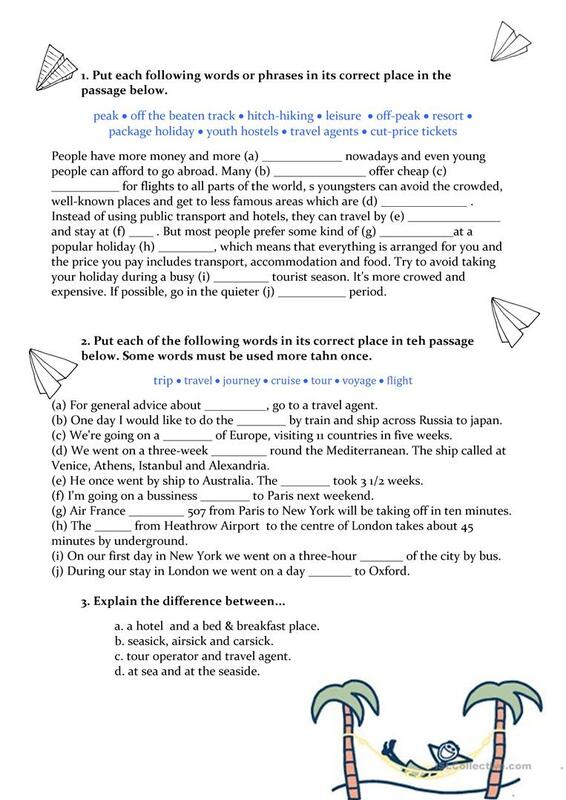 Here is a vocabulary worksheet related to travel, holidays and journeys. It can be a good option to use in the vocabulary section of a travel topic. Key included. The above printable, downloadable handout is best suited for high school students at Intermediate (B1) level. It is excellent for enhancing your class' Reading and Writing skills. It centers around the topic and words of Travel. It includes a key, too. Persefone28 is from/lives in Spain and has been a member of iSLCollective since 2015-02-27 16:37:20. Persefone28 last logged in on 2019-04-10 18:58:41, and has shared 1 resources on iSLCollective so far.